Air exchanges and circulates between cells to manage moisture. Waterproof, breathable four way stretch top cover allows for full immersion without resistance. 3” multi-density base layer adds safety and comfort . Middle layer waterproof barrier to protect base layer from contamination/odors. 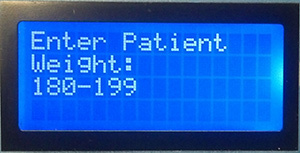 Pre-programmed for specific patients based on weight. Screen assist six step process to optimize therapy in 4 zone. 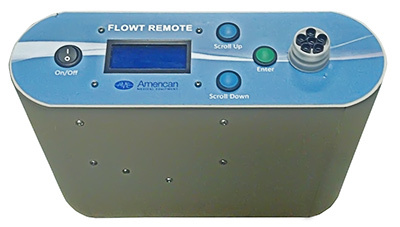 Plug Flowt® Remote into an appropriate grounded outlet and connect transfer tubing to both Flowt® Remote and the Flowt mattress. 1. Scroll to “Bed OCCUPIED” using the “Scroll Up” and “Scroll Down” buttons. Make selection by firmly pressing green “Enter” button. 2. Select appropriate patient weight range by using the “Scroll Up” and “Scroll Down” buttons. Make selection by firmly pressing green “Enter” button. 3. 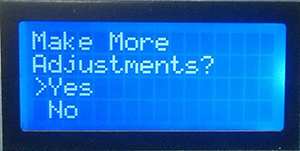 Unit will display “Adjusting Bed…” while it adjusts pressures in mattress sections. 4. After the unit finishes adjusting the pressures it will display “Set Up Complete, Please Power Off Unit”. Toggle the black “On/Off” switch to power down Flowt Remote. 5. Disconnect connection tubes from the mattress. 1. Scroll to “Bed UNOCCUPIED” using the “Scroll Up” and “Scroll Down” buttons. Make selection by firmly pressing green “Enter” button. 2. 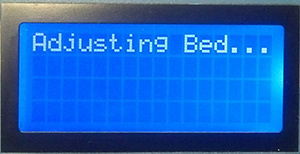 Unit will display “Adjusting Bed…” while it adjusts pressures in mattress sections. It is usual for this step to take some time. 3. 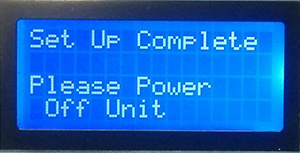 After the unit finishes adjusting the pressures it will display “Set Up Complete, Please Power Off Unit” Toggle the black “On/Off” switch to power down Flowt Remote. 4. Disconnect connection tubes from the mattress. 2. 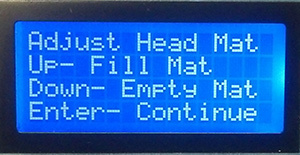 Adjust Head Mat” to desired pressure by holding down either “Scroll Up” to increase pressure or “Scroll Down” to allow pressure to escape. When desired pressure is reached press green “Enter” button to move to the back section. 3. “Adjust Back Mat” to desired pressure by holding down either “Scroll Up” to increase pressure or “Scroll Down” to allow pressure to escape. 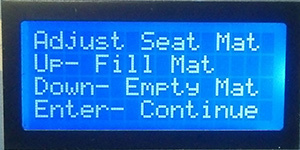 When desired pressure is reached press green “Enter” button to move to the seat section. 4. “Adjust Seat Mat” to desired pressure by holding down either “Scroll Up” to increase pressure or “Scroll Down” to allow pressure to escape. 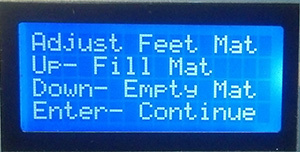 When desired pressure is reached press green “Enter” button to move to the feet section. 5. “Adjust Feet Mat” to desired pressure by holding down either “Scroll Up” to increase pressure or “Scroll Down” to allow pressure to escape. 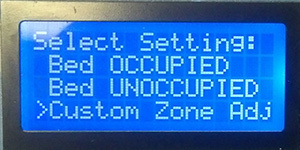 When desired pressure is reached press green “Enter” button. 6. If you would like to make further adjustments scroll to “Yes” using the “Scroll Up” or “Scroll Down” buttons. Make selection by firmly pressing green “Enter” button. This will take you back to the “Adjust Head Mat” step and the other steps will follow in the original order. 7. 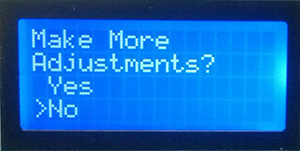 If you are finished making adjustments scroll to “No” using the “Scroll Up” or “Scroll Down” buttons. Make selection by firmly pressing green “Enter” button. Toggle the black “On/Off switch to power down Flowt Remote.